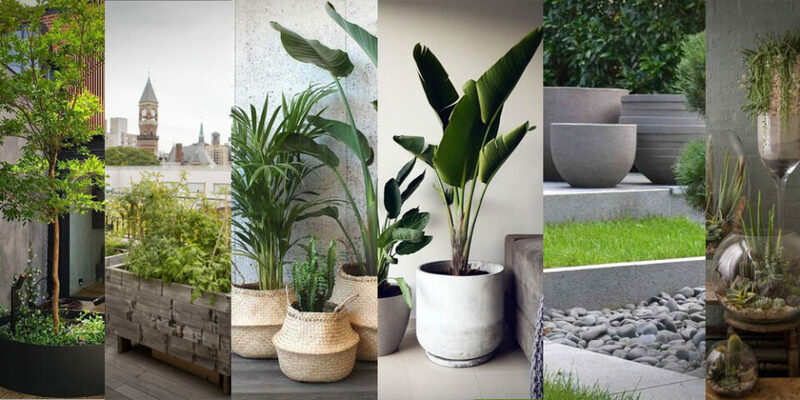 Summer is nearly upon us and I thought it time to dig through some inspiring images that I found for planter trends and ideas. 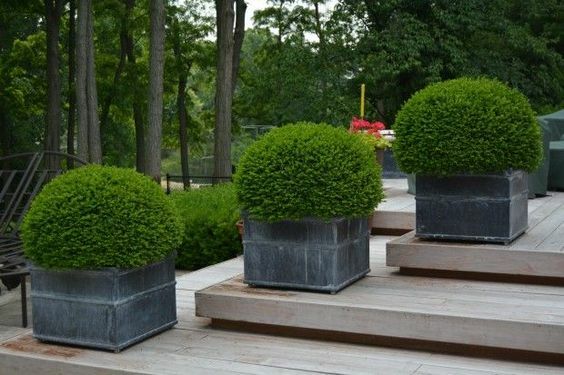 From the small to the large, the right planter can present our plants in just the right manor. 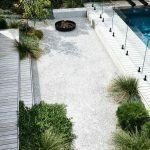 So whether you be looking for a light, elegant and small product or something a bit heavier with presence there should be something over this article to give you some ideas. This wire frame planter is very of the moment. There is a trend in interior design for this style of design, very thing legs and frame with just the bowl solid. It is a very functional design and really follows the Bauhaus ideology, striping the product back to its bare essentials. 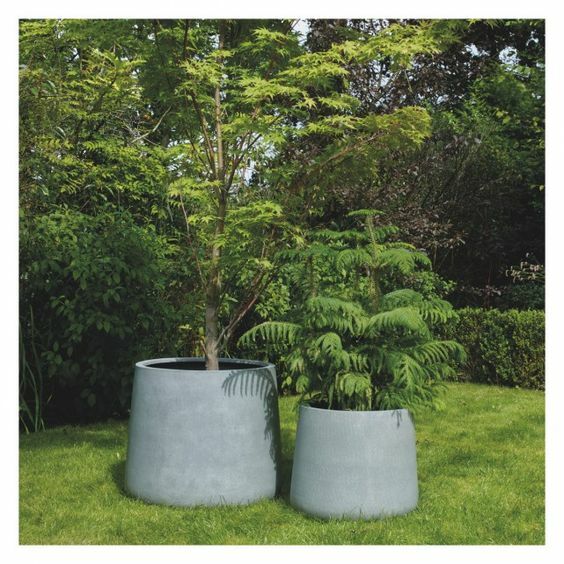 Following the trend of geometric and faceted planters my Kronen 90 is a large scale version of the crafted, hand made concrete planters we see a lot of on sites like Etsy. 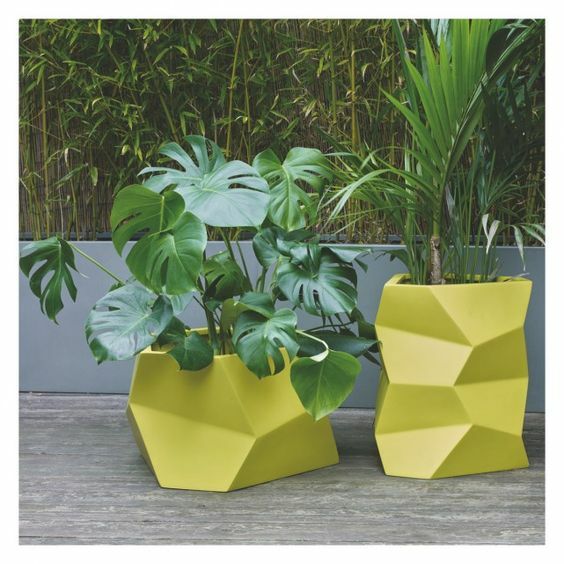 It has a dramatic angular shape which catches the light nicely and makes for a real feature planter. 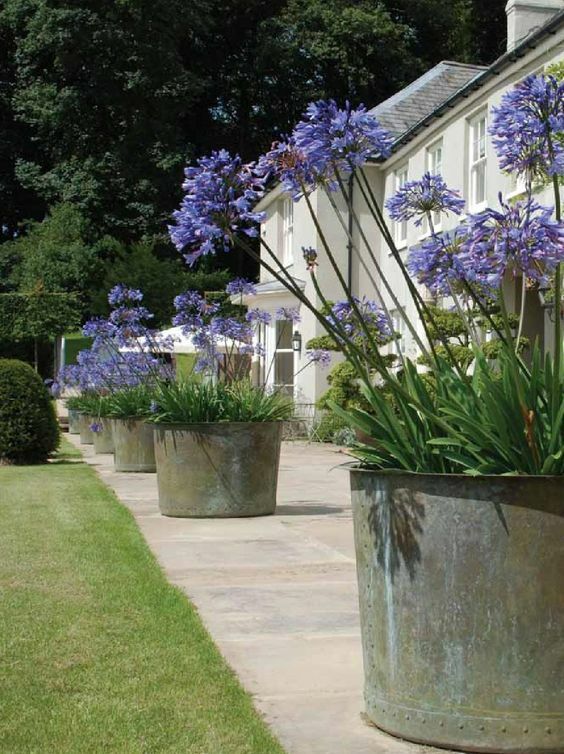 Rustic will never fade in fashion and these metal planters are good examples of that. 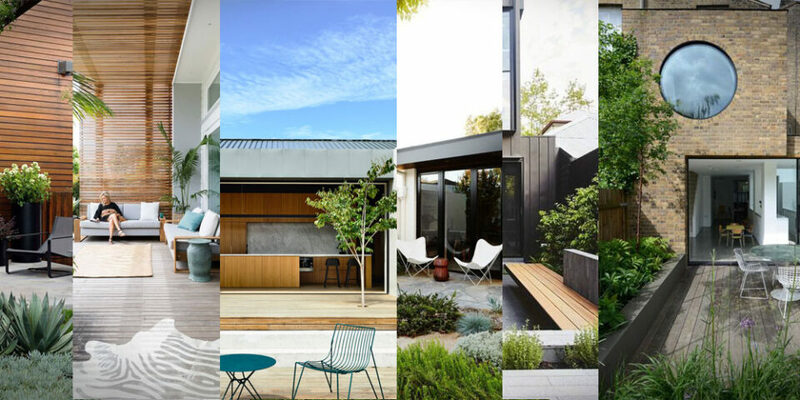 The architecture of their surroundings will mean that they fit in well to older environments or more classic and formal designs. These look like lead but I was unable to find the source. If they are they won’t be cheap as lead is one of the most expensive planter materials. Copper has a wonderful patina to it that stands the test of time and even corrosion. The more the metal weathers the more the planter blends and match with the environment around and the dents and imperfections that life has dealt them only adds to the character. 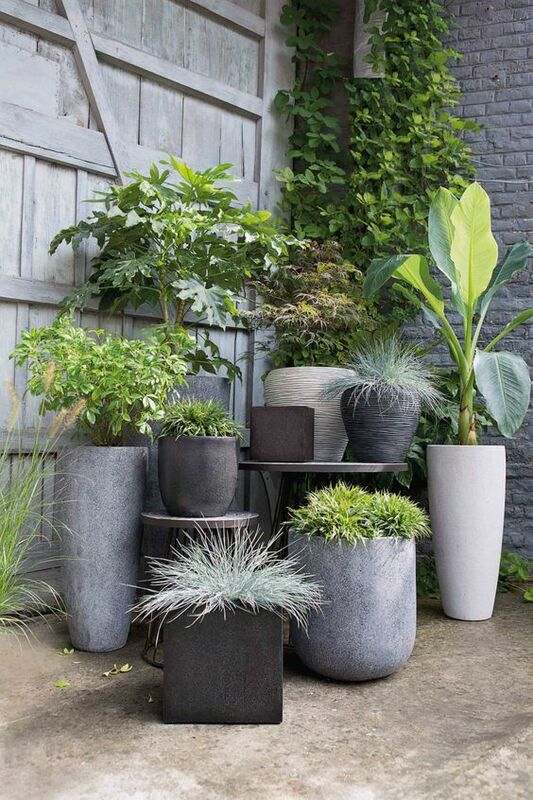 On a more budget focus brief the composite fibre glass planters lack some of the charm of the the previous designs but they are available in their abundance and this planter layout shows that with a little creativity you can make a real feature of them. These are again from habitat and are made from a fibreglass material but what I like about them is the slight taper on them. It is rare to see on mass produced designs because it makes them harder to manufacture and transport so it’s nice to see here. 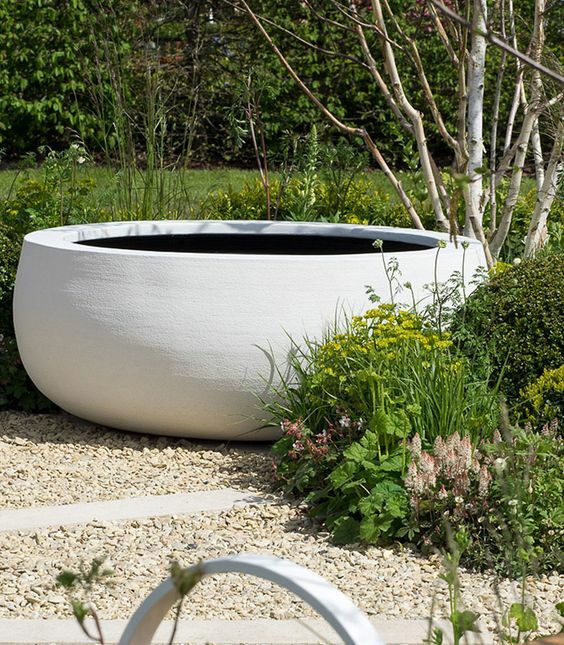 Urbis are legends in the planter game and this simple concrete bowl is high quality and elegant in it’s design. 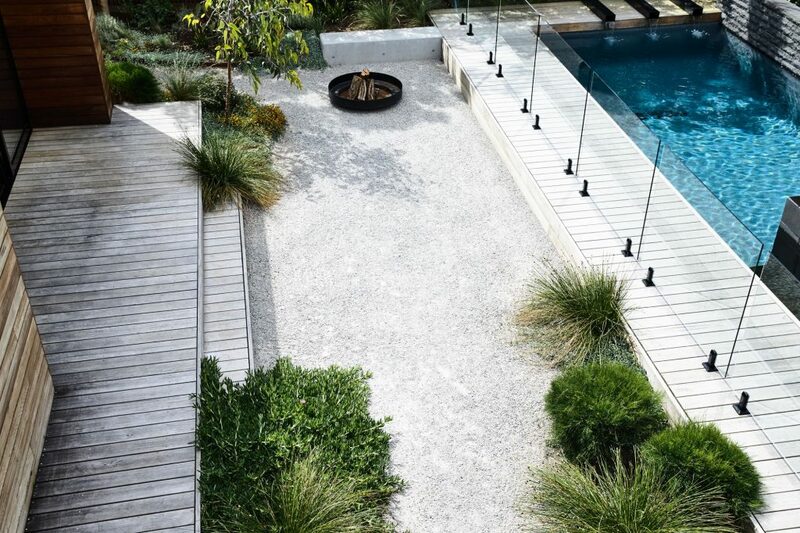 It will suit both modern and old designs as the minimalist shape clashes with little but compliments much. 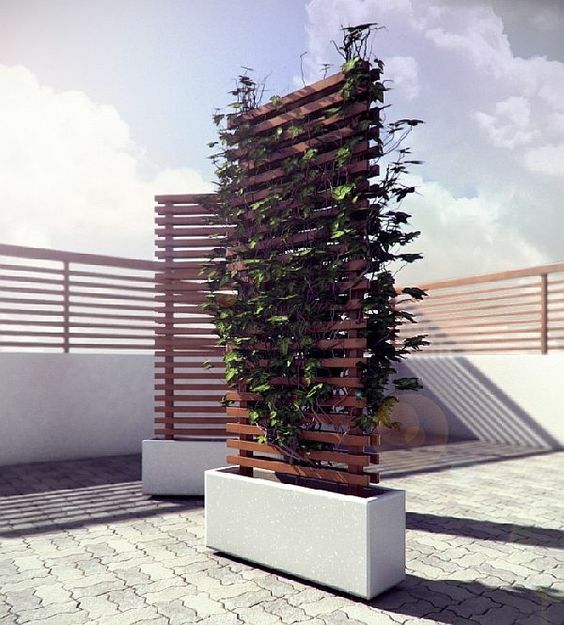 It isn’t often we see concept planters but here we have one and I rather like it. It’s a simple enough box with a stylish trelis coming out of it that creates a useful building block for designers to divide areas within their allocated space.